Singapore: Concluding the negotiations of the Regional Comprehensive Economic Partnership (RCEP) agreement will be a significant deliverable for ASEAN in 2018. If successful, ASEAN will be feted for its leadership to bring together big economies like China, India, Japan and South Korea under a single comprehensive trade deal. This will reinforce its centrality and showcase its tenacity to deliver on trade cooperation when the winds are blowing the other way in the West. RCEP negotiations have missed three deadlines since they started in 2013. Although there is lack of direct information, media reports imply that India is dragging its feet on some key issues. Against the demand of 92 per cent of free tariff lines, India has proposed 80 per cent with a deviation of 6 per cent either way. It is also vocal about getting market access in services and movement of professionals, a politically sensitive topic for many participating members. Historically, India has not been closely knit into the regional supply chain, unlike China, Japan and ASEAN. It has moderate trade and investment relations with ASEAN countries compared to China and Japan. It has no prior trade deals with many RCEP members and has a huge trade deficit with China. And most importantly, India’s real comparative advantage is in the services sector vis-à-vis manufacturing for others. But all parties in the RCEP need to be more pragmatic. ASEAN countries need to understand that India is a late entrant in the globalisation drive and often stumbles in undertaking reforms due to its multi-party politics. Its agriculture sector suffers from low productivity, while supporting the livelihood of majority of India’s population. Its manufacturing sector is labour-intensive and there is fear that the numerous small players in the sector could be adversely impacted if India opens up its market greatly. This is unwelcome when the country is heading for several state elections in 2018 and a general election in 2019. Indeed, India may withdraw from RCEP if there is too much of pressure on goods market access that may result in disruption to its domestic economy. On the flipside, India also needs to understand the strategic importance of RCEP. A successful outcome in RCEP implies that India has walked the talk on its Act East Policy and made up for its absence from the Asia-Pacific Economic Cooperation (APEC) and the Trans Pacific Partnership (TPP). RCEP could even be used as an external agent to undertake domestic reform, thereby complementing the Make in India programme and facilitating India’s participation in the regional supply chain activities. Finally, participating in RCEP provides India with a good chance to counter China’s rising economic might in the region. If the RCEP misses a deadline again, it may face a fate not dissimilar to the Doha round of negotiations under the World Trade Organisation. Coming on the heels of the US withdrawal from TPP last year, it will add fodder to the pessimism around globalisation in the West. RCEP without India will indeed dilute the economic and strategic value of the agreement, and offer China an opportunity to advance its own agenda of an East Asia Economic Community involving ASEAN and the three North Asian countries. Beijing has already sounded this out during the 20th ASEAN+3 Leaders’ Meeting in 2017. It has also proposed cooperation across six areas and has offered to align its Belt and Road Initiative with a new master plan on East Asia connectivity. Given this background, all parties need to reset their ambitions with regard to the RCEP agreement, understand fellow participants’ political constraints and compromise on economic interests. 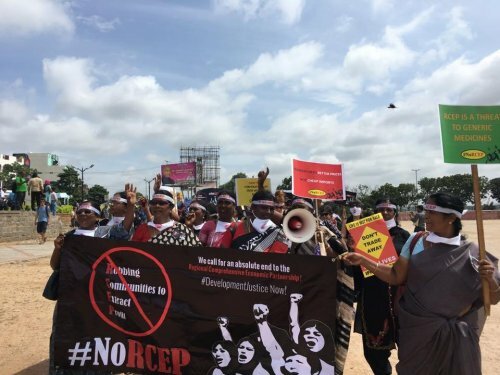 Otherwise RCEP risks ending up as yet another footnote in the continuing backlash against regional and global trade agreements.